Skeleton Warriors - Glyos Compatible - On Kickstarter! 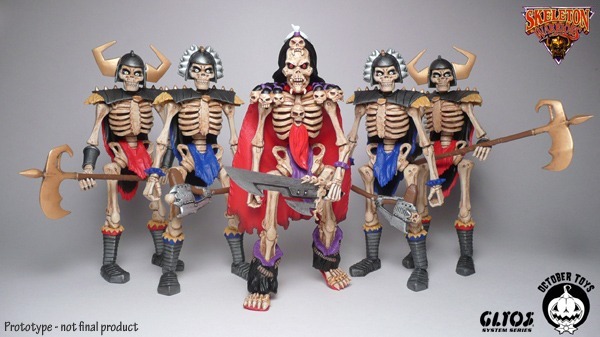 Cool news from Kickstarter land - the good folks over at October Toys are bringing back Skeleton Warriors! This newly proposed line will be fully compatible with the Glyos system, like another awesome revival line I know about (ahem Robo Force!) and it looks amazing so far. Go and contribute to their efforts, and let's make another fantastic independent product possible for kids and collectors to enjoy!